At Media Messages Brisbane, we understand that no two businesses are the same. So we work hard to make sure that no two message on hold programs sound the same. 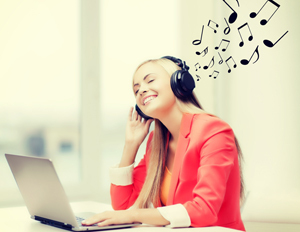 We have a very large library of royalty free on hold music to blend in with your audio advertisements. With many genres and tempos to choose from, you are sure to find a sound track to nicely blend with your production. Your on hold music wil be played behind your audio advertisements and between messages. To select your on hold music, simply visit our online music library and listen to the tracks there. Alternatively, you can get our team of professionals to select the appropriate music for you. And because our on hold music is royalty free, you won't be expected to pay fees to APRA and the PPCA like you would should you play the radio to your callers on hold. It's just another way that we are taking telephone messages on hold into the future.